Zenith Defy El Primero 21 Full Open Automatic Chronograph Titanium Case Skeletonised Blue Dial Watch 95.9002.9004/78.R590. Zenith created the El Primero watch as a celebration of the company's 100th birthday. Expert craftsmanship and meticulous hand-selected and hand-applied detail are testament to the company’s success so far. Independent manufacture runs through the blood of the company and has done since its founder created a manufacturing facility that houses the designers, technicians and artisans all under one roof. El Primero watches have become a popular timepiece for those with a soft spot for the sporty chronograph as well as those who like their watch to offer more technical features than a simple three handed dial. El Primero watches are sure to provide hours of enjoyment on the wrist, whilst their eye-catching aesthetics will become the talking point whatever event the gentleman wishes to wear his watch to. This sporty and practical wristwatch from the Zenith El Primero watch collection for men features an open-worked dial which exposes all of the finest elements of Zenith’s craftsmanship through the front of the dial. The chronograph counters offering 30 minutes and 60 seconds are balanced beautifully with a practical and useful power reserve indicator to show the status of the independently manufactured El Primero 9004 automatic. This powerful engine is capable of an impressive 50 hour power reserve and comprises a total of 293 individual hand-assembled components. 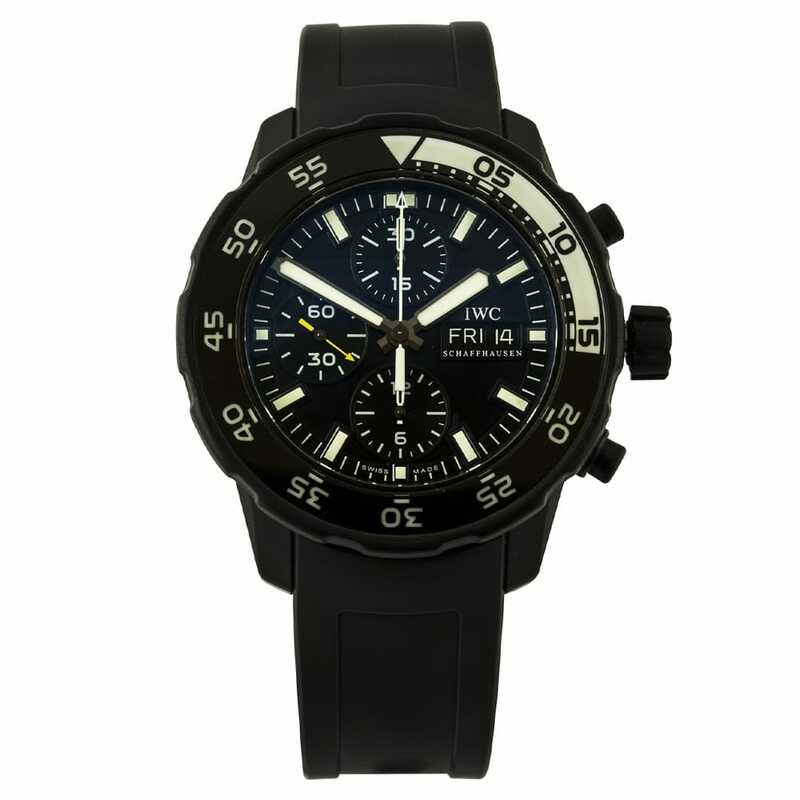 This 100 meter water resistant watch features a broad 44mm stainless steel case equipped with push pieces for controlling the chronograph functions, and a stylish blue rubber strap complete with a titanium double folding clasp for wearing around the clock.